For entire millennia, the Church has been anticipating an increase in knowledge such as the kind we are experiencing today (and who knows how much more is to come). Centuries before Christ, in the Book of Daniel, there is a prophecy which tells us that during the End Times, i.e., after the Coming of Christ, “many shall move around and about, and knowledge shall be multiplied” (Daniel 12:4). Those who accuse Orthodoxy of promoting and preserving an “agnosticism” and an indifference towards the sciences or worldly knowledge, are making a very serious mistake. This mistake is provable, both in practice and in theory. First of all, Orthodoxy does not use the term “agnosticism” when referring to worldly/created things. This term is used when speaking of an inadequate knowledge only with regard to God, i.e. the Uncreated Creator. There is obviously a difference between the one distinction (inadequate knowledge regarding the world) and the other distinction (inadequate knowledge regarding God). The claim that an autonomous knowledge of the Uncreated God is not possible (except in knowledge through revelation) does not conflict with the claim that human logic can learn about this world and whatever it may contain. The distinction between created (or world-universe) on the one hand, and the uncreated God on the other, is a fundamental distinction for Orthodoxy (and Christianity). Himself being a part of this world - and equipped with logic - man can (and should) learn about the world. But for things that transcend the world, i.e. the Uncreated God, man cannot possibly learn anything. The reason man cannot find out anything about God, is because God is beyond perception and His essence is intangible and inexpressible. Human logic can only discover the logical, the expressible world, and not the inexpressible God. This is why the claim that Orthodoxy scorns worldly knowledge (because it denies the autonomous knowledge of the out-of-this-world God) is unfounded. Basil the Great also wrote about the association between faith and science: “Nor should we completely avoid the healing art, nor is it proper to hinge our every hope on it. But, just as we use the art of farming, where we ask God to provide the fruits of our labors, and just as we entrust the rudder of a ship to its captain and pray to God to preserve us from the seas, so it is when we call the doctor and do not cease to have our hope in God” (PG 31, 1052A). “God”, Psellos tells us, “is of course the cause of the earthquake, and every other thing, but the immediate (or direct) cause of the earthquake is nature.” (V. N. Tatakis, Byzantine Philosophy, 1977, page 187). Cassianus Vassus (6th-7th century) in his work Geoponika admits that plants emerge from the earth by God’s will, however, he expresses his conviction that for this procedure, there must be a natural cause (V. Spandagos – P. Spandagos – D. Travlos, The Positive Scientists of the Byzantine Era, Aethra Publications, page 51). Manuel Filis (13th –14th century), zoologist, botanist and poet, admits that plants emerge from the soil with the will of the Creator, but insists on the view that this procedure also has a certain natural cause. By the looks of things, our Orthodox Roman predecessors were fully aware of both the boundaries of science as well as the boundaries of faith, without any problem whatsoever (at least by the wiser ones) of accepting both. But even in its practical aspect – from a historical viewpoint – Orthodox Byzantium was in the lead for at least 900 years in the areas of technology, navigation, strategics, architecture and civilization in general. Strange (according to the accusers), how the Orthodox paid so much attention to worldly knowledge for so many centuries! Normally, the “indifferent to knowledge” Byzantines should have been exterminated in no time, if their only preoccupation was “the salvation of their soul” and “the kingdom of heaven”. However, “antiquity lovers” purposely point out the decline of science in the Orthodox lands during the Turkish Occupation, indicating that this decline had to do with the Orthodox dogma. But they haven’t taken into account that science does not progress when subjects are in a state of slavery. Why don’t they study the Byzantine scientists? Are they aware that Johannes Zacharias Actuarius, a Roman doctor, first discovered the tapeworm parasite “trichocephalus anisos”? (Steven Runciman, The Last Byzantine Rebirth, Domos publications, page 103). Theophilos’ work On the Making of Man, Alexander of Tralles’ 12-volume work Pathology (Alexander was the first to administer iron as an internal medication), the Medical Encyclopedia of Theophilos Nonnos, the work On Human Anatomy by Monk Meletios, the Memorandum by Paul Aeginitis, the Medical Synopsis of Leon the Mathematician, the work Dynamic by Nicholas the Fragrance-Maker, which also includes 2656 pharmaceutical recipes and up to the 15th century comprised the official pharmacological writing of the medical school of the Paris University; the Medical Method, the Therapeutic Method and the study On Urine by Johannes Zacharias Actuarius; the 16 volume Medical Sixteen by Aetius, of which, the seventh volume pertains to ophthalmology (medication and surgery); the Synopsis of Medicine by Niketas and Leon, which pertains to surgical topics and tools; the Geoponika - 26 volumes – where, for the first time in history, the use of chemical fertilizers is mentioned ("chickpeas likewise soaked in nitre, are sown"). Are all the aforementioned works an indication of a people and a civilization that were indifferent to worldly things, and did nothing but pray mopingly? Are we to assume that the astronomer Nicholas Cabasilas (14th century) - who attributed the tides to the gravitational pull of the moon, which is directly emanated in alignment with its light - a non-noteworthy example? Perhaps the 6-volume work Accountancy by Barlaam, the Astronomical Bible of Theodore Melitiniotis, the work Harmonics by Joseph Bryenos, the Astronomical Itemization by Theodore Metochitis, the study On the Construction of Concave Mirrors and the work On Unusual Machines by Anthemios, indicate persons and a civilization that were only interested in prayers and “hallelujahs”? If they did give this impression, then the “antiquity-lovers” must admit it. They must admit that all of the above examples (and the hundreds more that are either lost or still unpublished) were written by the “Byzantines” just for fun; just something to pass their time between litanies. A civilization that is supposedly interested only in the “salvation of the soul” and not the body, cannot possibly have composed twelve-volume medical writings. It is only natural, for a civilization that perceives the body as being a part of a whole person and not the "prison of the soul", nor considers the “soul” to comprise the whole person, that it would show interest in both medicine, and mechanics and mathematics. Are they - who believe that our Roman predecessors were not civilized but barbarians – at all aware that in the University of Constantinople, Arithmetic, Geometry, Astronomy and Music were being taught, along with Hellenic and Latin literature? “Do not only study the scriptures, but also the geometrical art.” (V. Spandagos – P. Spandagos – D. Travlos, The Positive Scientists of the Byzantine Era, Aethra Publications, page 14). Only the dogmatic, pro-western and neo-paganist antiquity lovers could truly believe that only the West – and not Byzantium - had shown interest in science during the Christian years. Some even say that a number of philosophers and scientists were persecuted by the Church during the 18th century, because they taught Western science, physics and mathematics. It is more than obvious though, after seeing how John the Damascene as well as Basil the Great and so many other Orthodox Fathers openly supported worldly knowledge, that the causes of persecution of the learned men (most of whom were Orthodox hierarchs anyway) must not be sought in Orthodoxy’s world theory, but elsewhere. This phenomenon occurred, because the persecutors were followers of Aristotelianism, and were strongly averse to the scientific methods that differed to those of Aristotelianism. Yet others will mention the persecution and the excommunication of John Italus. This dismissal from the post of professor at the University of Constantinople was the result of an intervention by the emperor. The same thing happened with the anathematizing of his views by the clergy: it was done by the Church unwillingly, and only in obedience to the wishes of Emperor Alexios I. The anti-Byzantine Cyril Mango clarified matters somewhat, when he wrote: “We have serious reasons to believe that the trial of Italus had political motives and that the accusations against him were, to a certain extent, manufactured. It appears that Italus had quite a few sympathizers amidst the higher clergy.” (Cyril Mango, Byzantium: The Empire of New Rome, Educational Foundation of the National Bank publishers, page 174). As the Greek thinker P. Kondylis comments: “The universe, having been emptied of magical beings and made accessible to new mathematics, can now be known, absolutely and directly” (European Enlightenment, Themelion Publishers, page 116). This is a perfectly logical comment: a universe fraught with weird beings – as imagined by idolaters - cannot possibly become the object of scientific study. The Christian concept of a Creator - Who is not entangled in Nature - is far more rational than the Neo-Paganist idea that there are Spirits (the “gods”) inside the engine of the universe, which, if not nourished with sacrifices, will not send us rain, or protect us, etc. V. Tatakis comments in his book (Byzantine Philosophy, page 53) on the Pagan philosopher and scientist John Philoponos, who converted to Christianity: “The metaphysical bases of Christianity shaped a universe that reciprocated the demands of rationality." Indeed, when the universe was overrun with idolatrous, rough-cut mythical powers of magic and destiny during the times that Paganism prevailed, the contribution of Christian teaching was immense, inasmuch as it de-idolized (and not merely demystified) the universe, rendering it clean and liberated, for scientific and philosophical speculation. If, for example, today’s man believed that the moon is a divine entity, would he ever dare to “conquer” it? That is why the familiar atheist argument that the meaning of the word “God” is used to fill the gaps of our worldly knowledge, i.e., that when we can’t explain something, we attribute it to God, thus making knowledge and faith opponents, can only apply to the endocosmic, Pagan divinities and does not affect the Uncreated God in any way. If, for example, the Sun or any other heavenly body is considered a god, it will immediately obstruct the scientific recognition that it is “only a star” and furthermore, the prevalence of this scientific definition of the heavenly body will inevitably lead to a termination in the belief of the “Sun-god” (otherwise atheism). However, in the case of the Uncreated God, Who does not comprise a part of “Nature”, scientific research is not hindered because “God may be offended”, nor does the increment of scientific knowledge necessarily lead to atheism, simply because God is the primary cause (and not a segment of) the universe, Who, if ever interpreted scientifically, would cease to be considered “God”. It is obvious how the pagan perception of an imperfect, endocosmic god not only is unnecessary for the preservation of nature, but it actually hinders the development of science, since the latter would be intruding upon those areas of nature by interfering with the authority of the particular divinity. One is eventually impressed by the realization of the English philosopher Bertrand Russell in his work Religion and Science (page 249), that every confrontation between science and faith is not attributed to any contradictions between the contents of faith and science per se, but to the opposition between their respective representatives and their self-evident expediencies. In an environment where persecutions are dictated by interests and passions, there can be no consistency. If, for instance, the (atheist) Russell writes, in a certain country the people of science had reasons for persecuting Christians, then Galileo’s colleagues would not have protested in any way. But even in the case of Galileo’s persecution by the Roman Catholic Church, which did not concern the Orthodox people or Orthodox Christianity, it is a known fact that in 1633, it was not provoked initially by the Papal Church, but by Galileo’s dogmatic, Aristotelian colleagues: “Galileo had made excellent use of Saint Augustine, and for a while, had far more support by the upper ecclesiastical circles of Rome, rather than by his Aristotelian colleagues in the University of Padua.” (Herbert Butterfield, The Origin of Modern Science, page 62). “I never found anything in my field of science that contradicted Religion," Albert Einstein had stated. “Wherever and however deep we may focus our attention, nowhere will we find any contradiction between religion and the natural sciences; on the contrary, in precisely the most crucial points, we discover a full accord," Max Planck attests in 1937, in a lecture with the theme “Religion and Physics” (also, Max Planck, Religion und Naturwissenschaft, 7th edition, Leipzig, page 30). “In the history of science, since the time of Galileo’s trial, they have repeatedly claimed that scientific truth cannot be reconciled with the religious interpretation of the world. Although I am now convinced that scientific truth stands on solid ground, I never did manage to ever reject the content of religious thought as though it were supposedly a part of an obsolete phase of mankind’s conscience; a part that we should abandon from now on. Thus, during my lifetime, I have repeatedly found myself needing to speculate on the relationship between those two areas of thought, because I never succeeded in doubting the reality towards which they point," the great physicist Werner Heisenberg asserted. We should note that in Orthodox Romanity, the educated had never stopped believing in the spherical shape of the world. Basil the Great (4th century), George Pisides (6th – 7th century), Simeon Sethes (11th century), Theophylact of Ochrid from Euboia (11th – 12th century) and others, all believed that the world was spherical and not flat. It will suffice here (for the purpose of addressing Neo-Paganists) to compare the viewpoints of the “gods” and the Old Testament on the science of Medicine. But Zeus, out of fear that people might learn the art of medicine from Aesclepius and thus aid each other, struck him with a lightning bolt. What a friend of science - not to mention a philanthropist – Zeus was! Fancy being afraid that people would learn medicine and aid each other for their well-being! Polytheism and Science. 1. Honor the doctor as befits him, for God made him thus. 2. Healing comes from the Lord on High, and from the king shall the doctor receive gifts for it. 4. The Lord ordained that medicinal herbs should sprout from the soil. 6. God Himself gave man science, so that He might be glorified in His wondrous works. 7. Through doctors and medicines God heals and takes away the pain. 12. Seek the doctor’s aid, because he too was created by God. Do not draw awy from him, because you need him. 13. Oftentimes, therapy is in the hands of doctors. 14. For they too in turn pray to the Lord, so that He might make their endeavors effective. 1) The Oracle of Delphi had forbidden the Knidians to open a canal. The Knidians were being besieged by an enemy and wanted to change the Isthmus into a canal, thus turning their city into an island. The Delphi oracle had said to the Knidians: “Quit the building, leave the digging, because if Zeus had wanted an island, he would have made it himself” (Herodotus, 1, 174). The Knidians did not go ahead with the excavation of the canal, they lost that war, and were subjugated by the Persians. So, it was whatever Zeus wanted, and not science. 2) In Aeschylus’ play Persians (verse 749 etc), the ghost of Darius (or, in other words, the mutual opinion of the religious Greeks of the 5th century B.C.) alleges that the bridging of the Hellespont was against the will of the gods. 3) Anaxagoras was exiled by the Athenians of the Golden Age, when he declared that the Sun was not a god, but a ball of fire in the sky. Here is the proof that, when “god” implied a segment of Nature and not the Uncreated, beyond-this-world, One and Only God, any research on that “god”-part of Nature, constituted irreverence and atheism. 4) The tyrant of Corinth, Periander, had considered opening the Isthmus of Corinth. But the gods had averted this, with the oracle of Delphi: “Do not raise or dig up the Isthmus. For Zeus has already placed the island (the Peloponnese) as he wanted it.” So, we have a second example that proves how Polytheism was opposed to scientific progress and the use of science for peaceful works (as well as for defence-military purposes of course). This would mean that – to the Paganis - the Suez Canal or the Corinth Canal are both unacceptable human projects. 5) Besides, the renowned astronomer Aristarchos of Samos – the first scientist to maintain that the earth is not the center of the universe but that it rotates around the sun - was sued by the stoic Kleanthis for showing disrespect towards the gods, with the charge: “As being the one who moved the focal point of the world (Earth)” (Plutarch, On the Face Appearing on the Circle of the Moon, 6 (923a)). The pantheist stoic Kleanthis wrote a special treatise To Aristarchos (Diogenis Laertios, VII, 174). Diogenis the Cynic “insisted that we should abandon music, geometry and suchlike sciences, because they are useless and redundant (Diogenis Laertios, VI, 73). In other words, Polytheism not only has nothing to do with any of the scientific achievements that ancient Hellenism had displayed – as the Neo-Pagans assert - it actually persecuted it. As a result, sciences such as astronomy, if not aligned with astrology, were considered by the masses of Polytheists as punishable crimes. “The condemnation of meteorology was extremely commonplace. They believed that not only was it foolish and audacious (Gorgias El.13, Hipp. Ancient Medicine 1, Pol. 488e), but also a danger to religion (Eur. Ap.913, Plato’s Apology 19b, Plut. Nikias 23), and in the mind of the lay people it was linked especially to the sophists (Eupolis ap.146, Aristophanes Nepheles 360, Plato’s Politic 299b) (E.R. Dodds, The Hellenes and the Absurd, Kardamitsa publications, page 275). The view that ancient Hellenic science never existed is of course totally unfounded. It existed, and it had experiments and applied results. But this occurred only during the Hellenistic and Hellenic-Roman eras (the eras of decadence, according to the antiquity-stricken; i.e., when the classical, ancient Greek religion had lapsed and frayed away, that was when significant scientific progress began to be observed (Heron of Alexandria, others) with experiments and scientific thought and practice. When the boogie man Zeus ceased to mean anything, man also ceased to be afraid of intervening in nature, and ancient technology developed further. 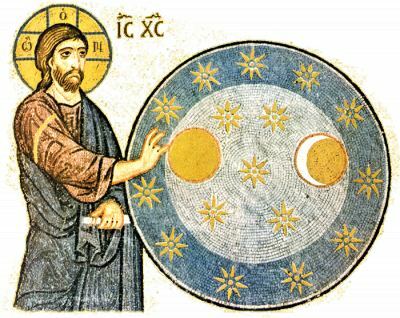 Christianity, however, assisted scientific research by rejecting views like those asserting that heavenly bodies are divine entities, and did not stand opposed to Hellenic Science. In actual fact it was Christianity, which, having cast out polytheistic superstition and the denial of science, and placing faith and science in their proper places, opened the way to the worldly knowledge that we enjoy today, thanks to science. That is why contemporary, advanced science developed in societies of Christian upbringing, and not in any pagan societies. Source: Edits by John Sanidopoulos.